If you are thinking of some craft idea for your little one’s nursery, you will love these footprint ideas we have features on our site. The collection of Hand & Footprint Art DIY Ideas and Projects is a fabulous one that you can get inspirations there for sure. This footprint butterfly is such an easy and inexpensive craft you can make for home decoration and gifts, too. All you need to do is to color your baby’s foot with markers (make sure they are infant friendly) in shades of your favorite and then stamp it onto paper. Draw the details with markers, write your angels name and frame it. So cute an idea for new born as well as any kids. This DIY Footprint Butterfly is just too cute! 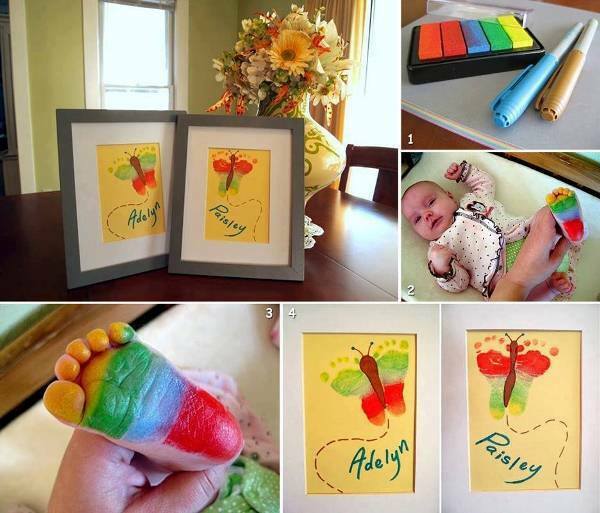 A lovely idea to create some butterfly artwork using a pair of baby feet, a stamp pad, some card stock and markers. If you are thinking of some craft idea for your little one’s nursery then you are right here . Handprints and footprints are most favorite kids’ crafts, we love their sweet little hands and feet in art! They are easy and fun for Kids to craft themselves. 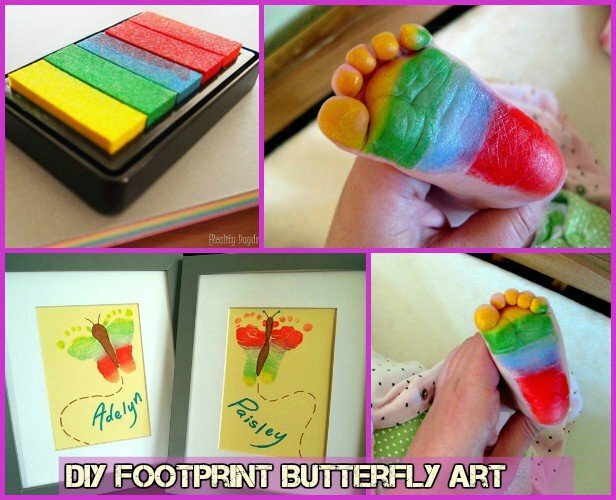 This Footprint Butterfly is such a precious idea. 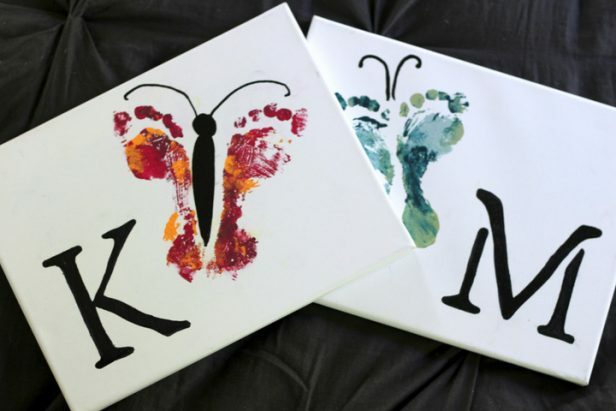 You can just write the initials of your kids name and hang the canvas for room decoration. Such as Heather on Mommy Potamus does with her Kids. 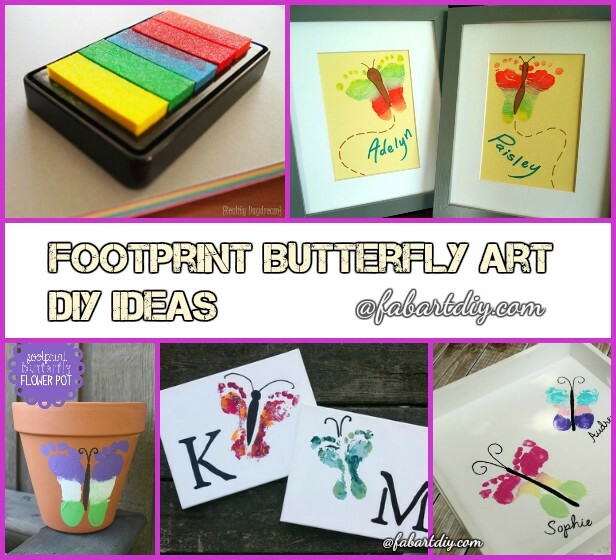 Check out more DIY Butterfly Footprint Art Here, and turn on next page for more footprint butterfly ideas.